Want to Know How to Speak Smoothly, Clearly, Calmly and Confidently? When You Want, the Way You Want? WHAT IS THE BASIC SMOOTH SPEECH COURSE? The BASIC Smooth Speech Course is a complete training process designed to help you smoothly, clearly and confidently say what you want, when you want, the way you want. + Providing you a systematic process for creating a brand new smooth speaking style. + Helping you address, diminish or eliminate both the psychological and physiological affects of disfluent speech. 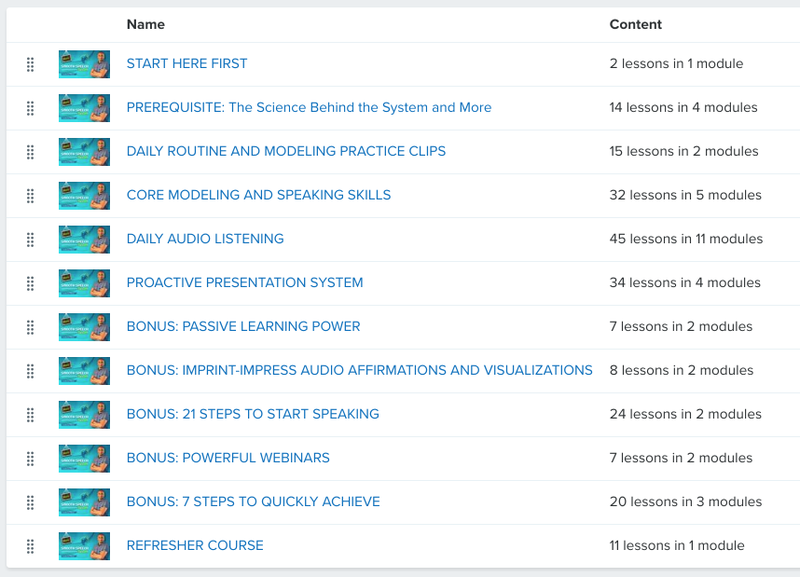 The BASIC Smooth Speech Course is like having your own private speech coach in your pocket. Many people use their mobile devices almost as much or more than their desktops or laptops. In fact, my own website search statistics show that 49% of our visitors are using desktops, while 46% are using mobile devices. That’s pretty darn close. Because many of our clients and students are on the go and prefer to use their mobile devices we’ve made sure you can access the course from any device using the browser without having to log in each time. Watch all of the video training whenever and wherever you want. Listen to all of the audio training and affirmations as you travel and do other things throughout the day. Practice Modeling, Free-Flow Speaking and other excellent speaking skills anytime you choose. Answer reflection questions to improve your understanding of the key concepts behind the Pro90d Speech System. Access all videos, audio and pdf content. This course is perfect for you if. . .
Have a difficult time saying exactly what you want to say, when you want to say it. Often (or always) speak too fast. Often feel rushed (like you want to just hurry up and get it out now) when you speak. Struggle with situational stutter (you don’t always stutter, just in certain situations or around certain people at certain times. Often run out of air while speaking. Have a hard time getting started speaking. WHAT WILL THIS COURSE HELP YOU DO? The BASIC Smooth Speech Course will help you. . .
Feel more confident about speaking with others. Feel more relaxed, calm and at ease while you speak. Speak using a smooth and powerful rhythm that people enjoy listening to. Make more powerful, captivating and persuasive presentations. This training will benefit you by. . .
Increasing your willingness to speak up and speak out whenever you have something to say. Improving the communication in your business and personal relationships. Helping others see you as more capable, talented, and leadership-ready. Improve your inner sense of self-worth and self-esteem. Giving you a greater sense of peace and calmness.Help you make life and career decisions based on your calling, and not on the so-called limitations of your speech. Equipping you to serve more people in more ways than you could have ever imagined. One of the most requested features of our self-study clients was a support group where students could gather in one place, ask and answer questions, get feedback, practice with each other and hear from the Pro90d staff and coaching client graduates who are mastering their speech. Well, the wait is over. We recently launched this feature. BASIC Smooth Speech System for just $19.97 per month! Cancel anytime! (hosted using WhatsApp and Zoom) for just $19.97 per month! 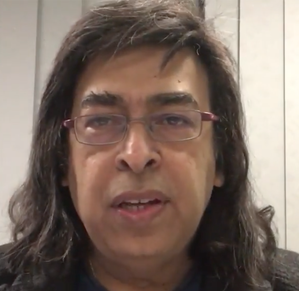 "Hi my name is Ismail and I am a physician more specifically a super specialist, in fetal medicine. 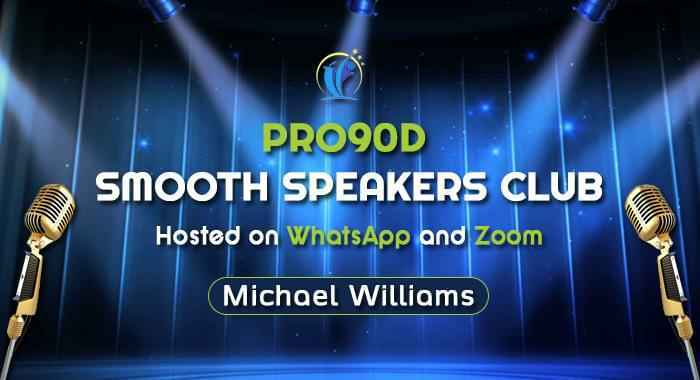 I have been using Michael William’s pro90d program and his speech coaching for the last 6 weeks. It has changed my life. I am now super confident in my speech, am able to give almost flawless presentations and I now feel naturally eloquent. I have been able to be on live radio which was broadcast to 300000 people and I felt confident and flawless in answering the host’s questions. Michael’s technique of modeling and transferring that to real life situations is a winner as it creates a new speaking identity that is fluent. The great aspect of Michael’s program and actually what attracted me to it was the strong scientific basis for his program which rests on the scientific discipline of neuroscience. As a physician I immediately recognized and understood the science behind his program and realized that this was going to work and I can tell you it does. Thank you Michael for a fantastic and wonderful program, system and formula, and for the work you do and the confidence you brought to me." Set realistic expectations for achieving those goals. Get clear about what your speech will look, sound and feel like when you have reached those goals. Understand and use the Principle of Accelerating Acceleration to keep you motivated. Gain a very clear understanding of what you can expect on your journey to smooth speech. Clearly understand and set up your Pro90d Daily Routine Success Checklist. Get a clear understanding of the neuroscience behind why you perform certain practice activities over and over. Learn how to keep yourself encouraged through constructive and regular self-talk. Gain the confidence you need to stick with this because you understand the science behind it. Learn how to use the 6 Proactive Speaking Skills that virtually all excellent speakers use. Learn which of these skills help you achieve smooth speech the fastest and focus on those. Learn how to make these skills second nature through repetitive usage of them in your daily conversations. Learn and practice how to speak without thinking or while thinking using the the Free-Flow Speaking Exercise. Learn and practice the Free-Form Modeling Exercise to clearly and smoothly articulate your thoughts in concise and engaging manner. Learn how to relax, stay calm so that both your words and thoughts flow easily. Understand the value of rhythmic speech to both you and your listener. Practice speaking with rhythm and flow so that your speech is easy and enjoyable to you and whoever you’re speaking with. Learn the two elements that impact rhythm and how to use them to speak dynamically. "Michael has given me a new life, renewed hope, a new confidence, a new state of mind. When I first enrolled for the programme , my speech was a disaster and I knew that this programme was it ! I had the key to unveil my life . Simply because of the way he unlocks our potential. He doesn’t give any importance to the problem per se but instead teaches a new way of talking . Wow! How amazing is that ... !! I realised that stutter is actually a gift of God. It’s like being on a road with a lot of speed breakers. Once you slow down, you realise that you are on a wrong road and you just have to divert yourself onto the freeway. Having done that, I must say my life has changed in every sense. My speech is super and I get a lot of compliments everyday about how well I converse and present. I look forward to my morning session with the programme. Just with my earphones and a cup of coffee ... and my day changes !!! My relationships with everyone is just amazing. What do I do? Follow the Michael way. Don’t give undue importance to the problem. Be the change you want to see and everything falls in place. Do You Want to Feel More Calm and Relaxed? Imagine if you could feel calm, cool and relaxed before and during speech. Imagine if you didn't have to worry anymore about whether or not you would be able to say what you wanted, when you wanted, the way you wanted. Did you know that feeling relaxed and calm are learnable habits? And, if they are learnable by others, it means that you too can learn them. Want to know how? Watch this short video now to find out. Are You Tired of Avoiding Words and Entire Speaking Situations? Are you there words or letters that you seem to always have trouble with? Do you get this sense that you "know" you will have trouble saying the word? As a result of this reinforced belief you may find yourself avoiding those words and situations in which you have to say those words altogether. So, what can you do about it? Watch this short video now and I'll explain. Do You Want to Feel More Confident About Yourself and Your Speech? How would you like to be able to go into any speaking situation knowing that you can handle it. Now, this doesn't mean that your speech will be 100% perfect, whose is? It does mean however, that you'll be 100% confident that you will smoothly and clearly articulate your message with ease. Speaking for your will become easier and enjoyable. People will love talking with you and more open to being influenced by you. Want to know how to make this true for you? Watch this short video and I'll explain. Are You Tired of Anticipating Speech Blocks? Do you have certain words or letters that get you stuck almost every time you say them? Do you anticipating these words or letters? Do you just know that you're going to get stuck on them before you even say them? Isn't it crazy that sometimes you actually can say these words and other times they just won't come out? Well, what can you do about this weird annoyance? "Mr. Williams, I just want to thank you so much for developing the PRO90D Speech System. I’m only on the sixth week and I’m seeing great results. Before I began this program, I didn’t really stutter because I learned how to mask it in elementary school by just speaking less than my classmates and using introductory phrases or saying “um.” However, I was still unable to say the majority of what I wanted to say, except without physical signs of stuttering. Before I began this program I wasn’t able to say more than a few words at a time to my parents, not even being able to say goodnight to my dad. Now, not only am I able to say almost everything I want to say, I found that this program has improved more than my speech, but also my overall confidence and self-esteem. I just wanted to say thank you for creating this program." WHAT'S THE SCIENCE BEHIND THIS SYSTEM? Here’s a synopsis of what you’ll learn. . .Your brain can be changed. With focused and consistent conscious effort you can form or strengthen neural pathways that reflect new ways of thinking and behaving. This means you can train yourself to feel more calm, calm and confident. You can learn to speak more smoothly and clearly. Speaking well is both a way of thinking and speaking. That is, by repeating certain thoughts and patterns of speech over and over in different situations you can forge a new mindset and set of beliefs about yourself and your ability to speak well. You can also develop a smoother and clearer way of speaking that becomes completely natural and automatic for you. Speaking well is a learned behavior. In fact, you learned to speak your first language by modeling those around you. It was natural and you didn’t have to be taught to model, you just did it automatically. In much the same way you can use modeling to learn to speak exceptionally well. In fact, virtually all great speakers and performers in every area of life had one or more models. Believe it or not, modeling is the fastest and easiest way to learn to speak smoothly, clearly and confidently. If you deliberately and consistently observe someone else performing something you want to do, then you can do it too. Exceptions to this would be physical limitations or massive brain damage. Science and theory are great. But actual client experience is even better. We are constantly learning from people just like you what works and what doesn’t. We take this learning and roll it back into our program to make it better and better on a regular basis. You know this system works, because people like you have tested and proven it in their own real life experiences. Because I personally stuttered and struggled with my speech I know what it feels like to feel limited, trapped and unable to say what I wanted, when I wanted, the way I wanted. I know what it’s like to not be able to get air to start speaking. I know what it’s like to avoid opportunities because of the fear of or anticipation of being disfluent. But, the awesome news is that I also know what it’s like to break free of that and be able to express myself in way that has transformed my speech into one of my greatest assets. Therefore, as a person who has struggled with this for much of my life I am able to provide a unique perspective, deep insight and understanding into how you too can move your speech from a liability to one of your greatest assets. DO I HAVE LIFETIME ACCESS? This is a great question, and the answer is, it depends on the severity of the speech and how much time and effort you devote to the process. On average I see people begin to experience noticable changes in their confidence and speech in 1-2 weeks. By week 3 we see more consistent changes. Between weeks 6 and 8 we see dramatic changes from when the person first started. Furthermore, these changes continue to increase as long as the client continues to get out and speak, just like one would experience in mastering a new language. The more you use it, the more fluent you become. Studies show that it can take as little as 18 days to form a new simple habit pattern. The average time is 66 days and could take 254 days or longer for more complex habit patterns. Remember, these times are for making the new pattern automatic (when one reaches automaticity) where one doesn’t have to think about it anymore. However, as I mentioned above, we see our clients form new thinking and speaking patterns (a repeated or regular way in which something is done) in as little as 3 weeks. To make these patterns habitual, you should expect it to take several months of consistent usage. We can only guarantee that the system works. However, we cannot guarantee that you will do the work. We have done and will continue to do everything humanly possible to make this process easy-to-follow as possible. The one thing we cannot do is make you commited. This process can be compared to mastering a second language. If you really wanted to, you could learn and become very fluent in a second language (barring serious brain injury) couldn’t you? You would have to learn and use the new language on regular basis; and if you wanted to accelerate the process, completely immerse yourself, right? On the other hand, if you didn’t study, learn or consistently practice both in private and public the new language, you probably would not master it. Learning to speak smoothly, clearly and confidently follows the same principles. You are virtually guaranteed to get pretty amazing results if you trust the process and put the time and effort in. To minimize your risk we purposely provide tons of free, high quality resources for you try. You’ll be able to determine if this approach will work for you before you ever make single purchase. 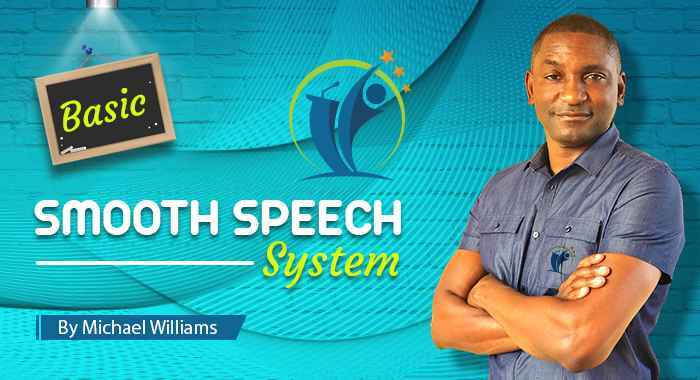 In fact, we prefer that you try before you buy so that once you do invest in your speech you’ll feel extremely confident that the Ultimate Smooth Speech System is the perfect approach to help you achieve the results you desire. As a result of all of our efforts to ensure that you’ve chosen the right product, we hope you understand that we do not provide refunds.